New Jersey’s Largest Online Casino Jackpots In 2018! 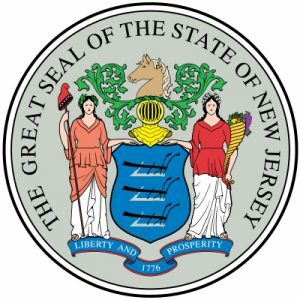 Everyone knows that NJ’s online casino market had a record-breaking year in 2018. In total, operators generated almost $300 Million, which is $50 Million more than the previous year. Not to mention, we saw several jackpot payouts worth more than $50k. In fact, more than $7.3 Million went toward these massive wins! In mathematical terms, that’s $3.6 Million more than the previous year. With that said, let’s do the math and crunch some numbers! By far the top five biggest wins of the year, online, came from slots. For example, Gods of Gold at Harrah’s hit for a mind-blowing $687,786 on a $5.00 spin! Also, Divine Fortune had three people win a jackpot worth more than $240k each. Those all happened at Betfair, PlaySugarHouse, and the Golden Nugget. Speaking of Divine Fortune, it paid out so far over $2.3 Million. Of which, $500k came from the mobile version. So as you can see, this particular slot is the hottest in the state. Plus, Monopoly Money In Hand struck for $358,250 and Lock it Link paid out $327,415. Someone also brought Melon Madness to its knees after winning $261,105 in cash. Overall, Golden Nugget paid out the most in Jackpots with $2.308,771 Million in wins. Additionally, both Betfair and PlaySugarHouse saw wins worth more than a $1 Million! 2018 might be old news, although the bar is now set at $7.3 Million in jackpot money. With that said, online slots are still as hot as ever! If you remember, on January 12th a local NJ woman won a life-changing $322,561.61 on the legendary Divine Fortune slot at Borgata’s online casino. So without a doubt, Divine Fortune is still the best game available in NJ, since it’s the one that changes life more frequently. But let’s not forget that the Borgata’s Big Series jackpot still stands at $2.7 Million and this jackpot has been climbing for over a year now… So, 2019 could be the year we see someone win millions at the Borgata. Fingers crossed!